This product was provided to me in exchange for a review. As always, all thoughts and opinions are my own. Whoever said Terrible Twos is the worst, clearly didn't have a 3 year old. The past two months, my three year old seems to have a switch that turns him from the sweetest little lovebug, to a three year old boy smashing everything in his path. His love for his sister is a source of whining since he "never leaves me alone now mom". He thinks dishes belong on the floor and toys should be scattered around as much as possible. 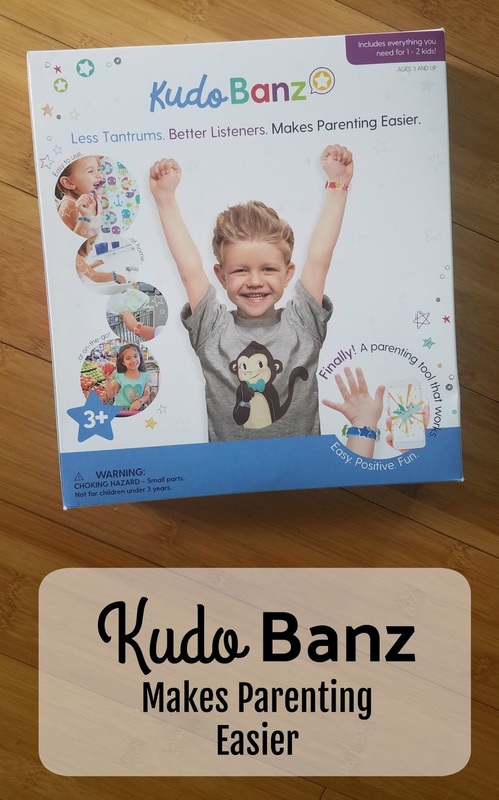 I was lucky enough to meet the owners of KudoBanz at Blogger Bash and really hoped it would be something that helped out my little guy. Kudo Banz is similar to a sticker chart, where a child is rewarded for whatever you determine, but it stands out because unlike traditional sticker charts, it's worn on their wrist! It's a constant reminder of how they are doing! 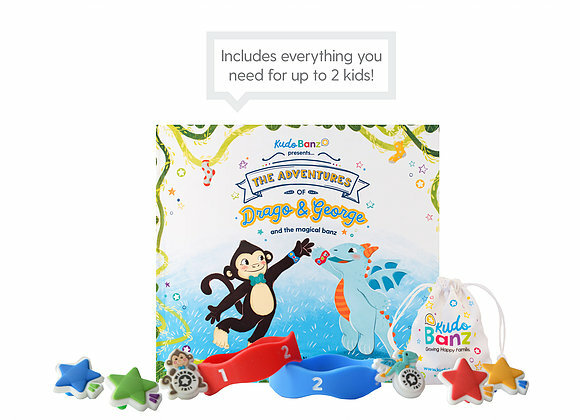 The kit has a storybook that makes for great family reading time, but also explains how the Kudos work. Some of the Kudos have a code on them that can be scanned into the (free!) digital app and creates a magical experience that young kids will love! 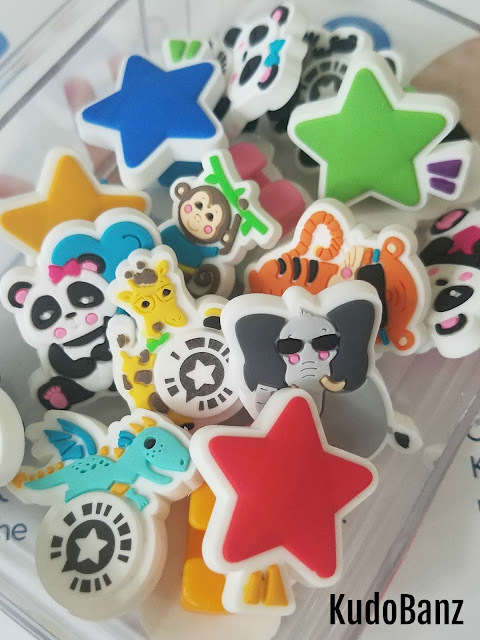 The Kudos are adorable and they offer many different sets like Dinosaurs, Princesses, Superheroes, and Pandas. The rubber wristbands are lightweight and flexible for little wrists and have spaces for 3 Kudos. I love that the starter book comes with enough for two kids, which is a huge money saver for me. I can grab one book and be set with both kids! Since using KudoBanz, we've seen the better side of Tyler more often. He loves getting his Kudos and playing with the app when he receives his next Kudo. What I love is that we've been able to grow his habits. When we first started with the bands, we gave him a Kudo every time he as being nice. Now, we're able to give him one at lunch if he's had a great morning, at dinner if the afternoon was good, and just before bed if he maintained his sweet personality. It has allowed him to self-assess more often and anything that helps him be more independent is wonderful! Be sure to head over to the KudoBanz website and grab your kit and Kudos today! Which extra Kudos will you be ordering?